The stock slipped 8 per cent to Rs 699 on BSE after it reported 1.5 per cent year-on-year decline in consolidated net profit at Rs 423.52 crore for December 2018 quarter. 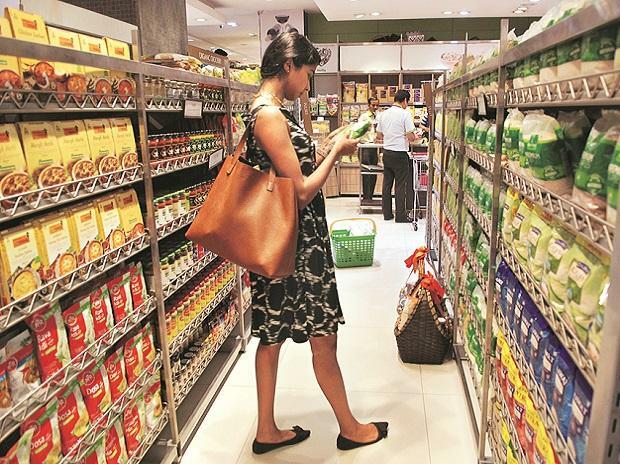 Shares of Godrej Consumer Products slipped 8 per cent to Rs 699 on BSE after it reported 1.5 per cent year-on-year (YoY) decline in consolidated net profit at Rs 423.52 crore for December 2018 quarter (Q3FY19). Operational revenue grew 3.5 per cent at Rs 2,722 crore in Q3FY19 on YoY basis. Earnings before interest, taxation, depreciation and ammortisation (EBITDA) margin remained stable at 22.4 per cent over the previous year quarter. Analysts on an average had expected a profit of Rs 455 crore on revenue of Rs 2,812 crore for the quarter. The company said household insecticides (HI) segment delivered a soft quarter. Sales were flat at Rs 598 crore driven by an unfavourable season. Further, high advertising & promotion (A&P) spends, rise in crude prices and currency depreciation resulted in a contraction in operating margin in international business (IB) during Q3. Going ahead, analysts at Dolat Capital believe that HI category would revive with new launches and improvement in business conditions. Further, recent portfolio enrichment in IB is promising. The brokerage firm believes that moderation in crude prices and controlled A&P spends in the ensuing quarters would result in better margins. “We have revised our FY19E estimates downwards to factor in Q3FY19 performance and increase in competition in the HI category. Also, we have revised our FY20E estimates to factor in the high base in IB. We believe that the margins in IB would increase sequentially as Q3 margins reflect increase in A&P expenditure to accelerate volume growth,” analysts at Emkay Global Financial Services said in a result update with ‘accumulate’ rating on the stock. "Management commentary indicated a sequential improvement ahead, but given the macro headwinds in international markets and the disruption in household insecticides, it is likely to be gradual and slow", it added. The brokerage firm cut earnings estimates by 6 per cent for FY19- 21 on lower-than-expected Q3 performance and weak guidance on Latin America margins. Given the near-term challenges and lower growth outlook, valuations at 43x FY20E EPS do not offer much upsides, it added. At 11:03 am, Godrej Consumer Products was trading 7.7 per cent lower at Rs 699 on the BSE, as compared to a 0.06 per cent decline in the S&P BSE Sensex. A combined 2.15 million equity shares changed hands on the counter on the BSE and NSE so far.